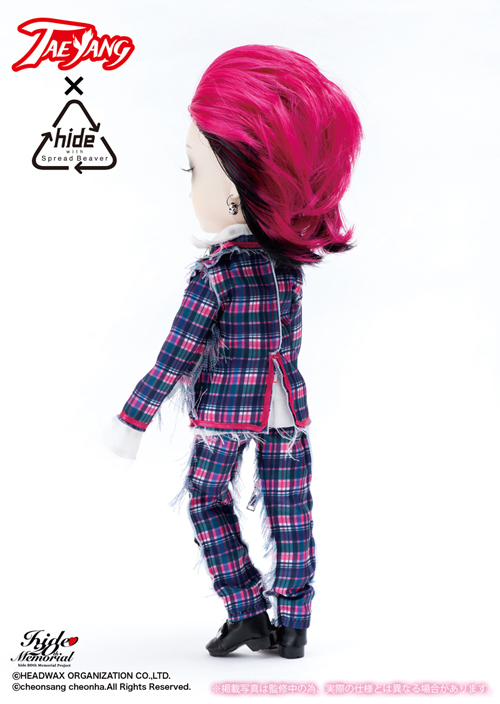 Taeyang hide ~20th memorial version~ was released as a part of the 20th memorial project commemorating the singer’s death. 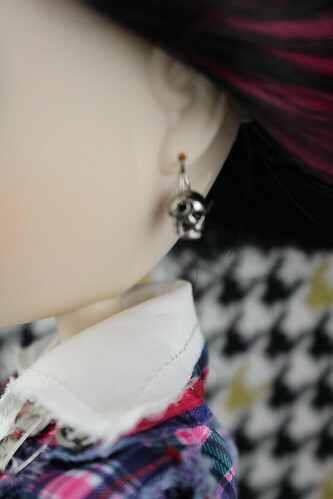 Who is hide? He was a Japanese musician, originally he was part of the band Saver Tiger (originally Saber Tiger) eventually he joined the band X (later renamed X Japan) and became their lead guitarist. X Japan was one of the founders of the visual kei style, where band members would dress up in outlandish ways with wild hair and make up. 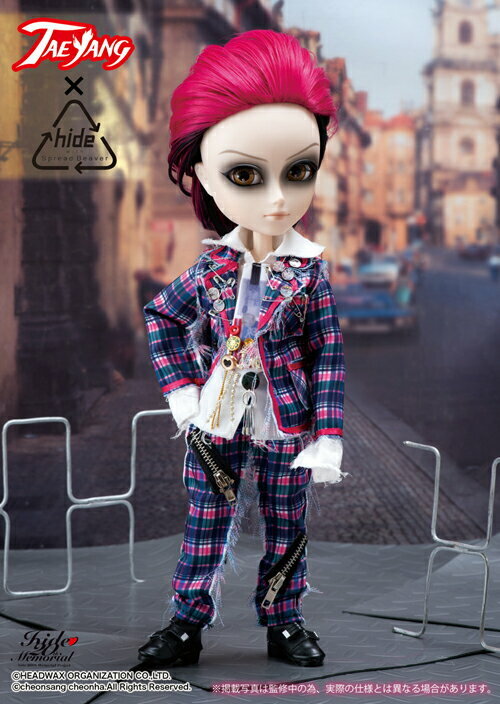 hide had started a solo career while being in X Japan, after the band broke up he continued to focus on hide with Spread Beaver (his touring band) as well as founding the band Zilch before his death. 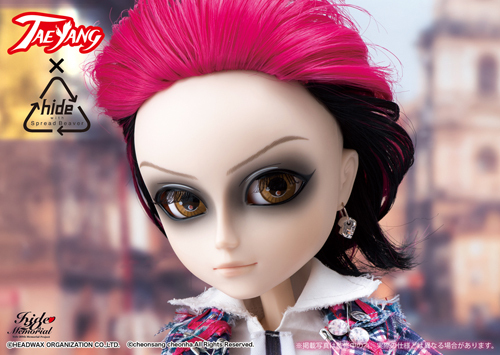 In 2012, Groove released three different Taeyang dolls as well as a limited edition variant of one of the dolls based on hide’s likeness. 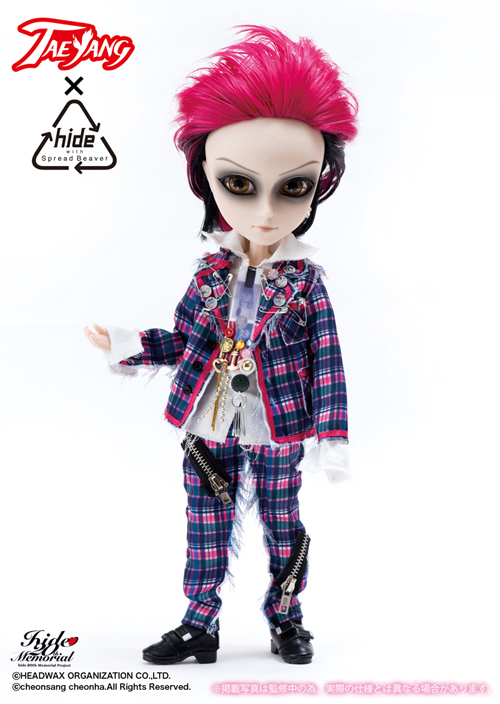 The Taeyang dolls were all based on some of hide’s different, iconic looks from over the years: hide Doubt version (as well as the limited version of hide Doubt version) were based on how he appeared in the music video for Doubt off of his first solo album “Hide Your Face” , hide rocket dive version is based off of hide with Spread Beaver’s 1st single ”ROCKET DIVE” and finally hide PSYENCE version based on hide’s appearance during the PSYENCE a Go Go tour. 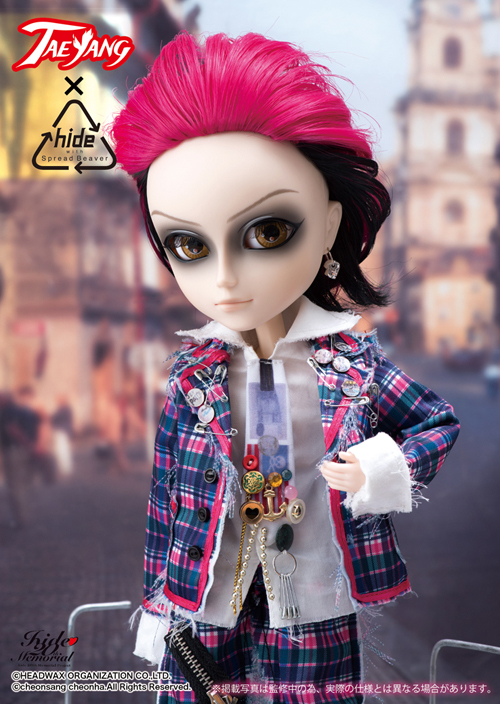 Release: Limited Release (Only offered by Groove’s official store and hide official shop LEMONed, a limited amount was also sold via Pullipstyle). 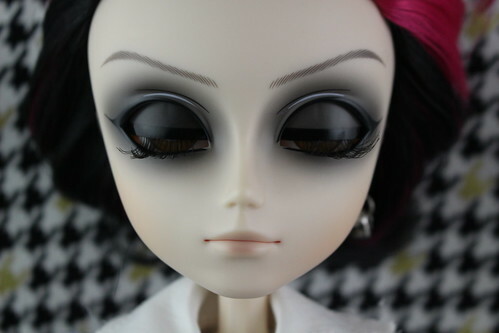 Wig: Two-tone wig, top part is reddish pink in color and bottom is black.